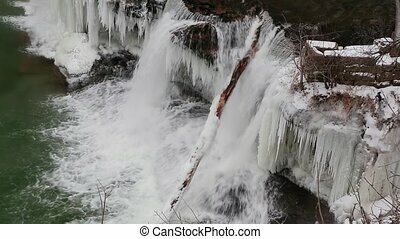 Powerful closeup of a waterfall. 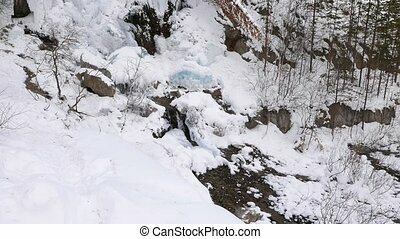 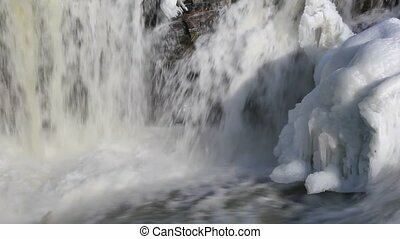 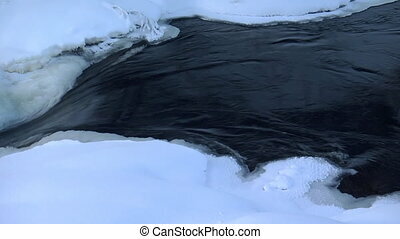 Whitewater plunges over a frozen waterfall. 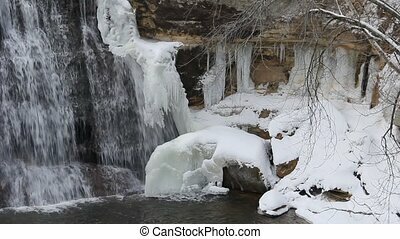 Shot at Upper Cataract Falls in Indiana. 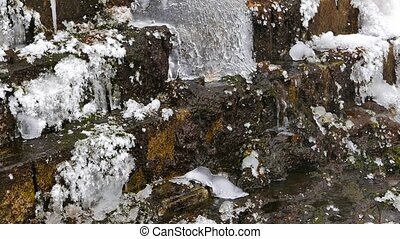 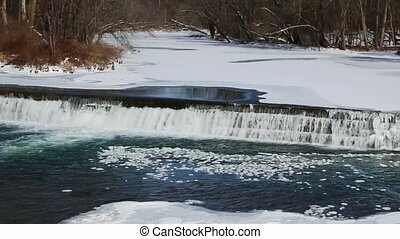 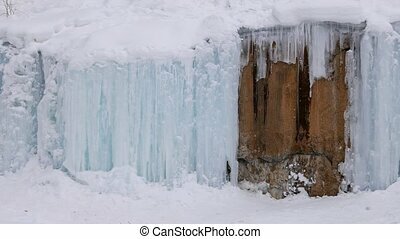 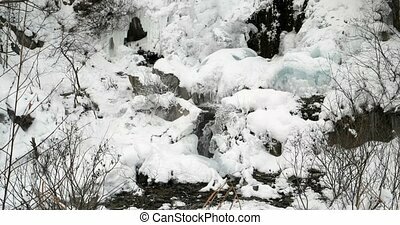 An icy waterfall flowing into a stream in the dead of winter. 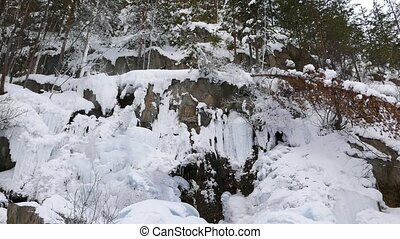 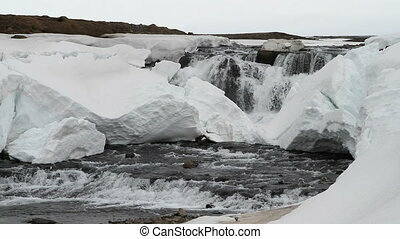 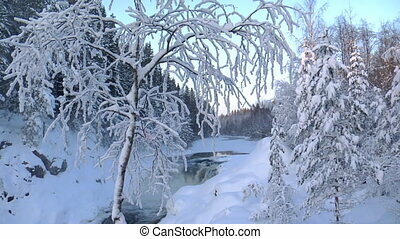 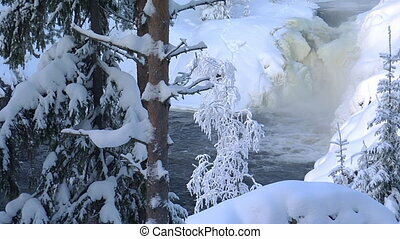 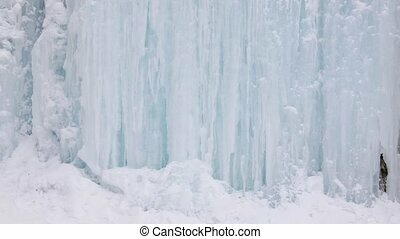 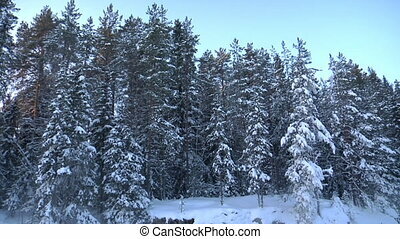 An extreme, winter waterfall, amongst major snowfall and icy conditions.